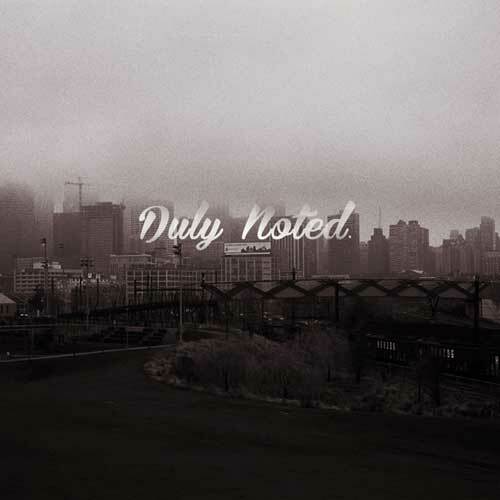 Here is a dope project I found on Bandcamp called Duly Noted from Tanya Morgan's Von Pea (Brooklyn). For all that don't know about Brooklynati, check out the underground classic album that celebrates the Cincinnati/Brooklyn connection made well known in the hip hop world by Talib Kweli and Hi Tek (Reflection Eternal). The album is very chill. Check it out! In August 2012, Tanya Morgan emcee Von Pea had just finished a tour and was sitting in LA with new creative energy and nowhere to put it. Listening to a beat tape Tanya Morgan in-house producer Aeon gave him, Von began writing on his flight back to New York. The next month was spent walking around Brooklyn and writing this EP. Duly Noted. is the brand new EP from Von Pea, produced by Aeon. Featuring the single “Things Have Changed”, Duly Noted. consists of 6 new tracks from the Tanya Morgan member as well as the accompanying instrumentals from the Lessondary producer.